My favorite client is one whom is looking to create an event that will leave guests awestruck because they’re providing a memorable experience or showcasing something that guests have never before seen. Pittsburgh brides, get ready! 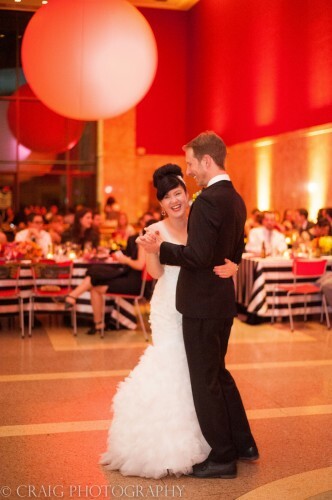 I’m sharing my 10 favorite ways to create a memorable affair. Entertain guests, or members of the bridal party, even before the wedding has begun! How? Throw a party offering an interactive experience! Erin, a local artist whom created Evoluntionare, offers full event collections like a “Sip & Savor” party where your guests can find the perfect wine and chocolate pairing all while chatting about your big day. The wines range from Moscatos to heavy Zinfandels to ensure that almost everyone will find something they love. 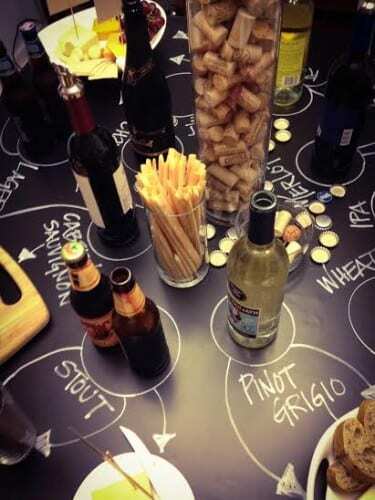 Include the gentlemen by throwing a “Corks & Caps” party. Erin’s concept evolved from a wine and beer drinker sharing the same meal. Your guests will take what they learned home for future inspiration! Choose an out-of-this world venue! Imagine an industrial evening under the stars at the PPG Wintergarden, a colorful bash at the Children’s Museum of Pittsburgh, an intimate affair in the wine cellar of the Pittsburgh Winery, a glamorous soiree at Heinz Hall or an urban rooftop celebration at Left Field Meetings. Did you even know that such amazing venues existed here in Pittsburgh? Hire a local artist to paint the evening! Pittsburgh is brimming with talented young artists, many of whom are still students at local universities. Why not invite them to be a part of your special day? Commission them to paint your ceremony as it’s happening or sketch portraits or guests throughout the night. I’m not suggesting caricatures but instead a beautiful piece of art that your guests can display on their walls. Offer favors your guests can’t refuse! As a planner, I’ve sadly seen favors left behind. The best ones are edible and drinkable. (Booze never goes to waste!) A few of my favorites include boxes from local company Scamps Toffee and Sweets, bags for guests to make their own bouquets, mason jar moonshine, classy hangover kits, coffee grinds, spices and none at all. Switch up the schedule! Guests are familiar with a traditional wedding schedule- ceremony, cocktails, entrances, formal dances, cake cutting, speeches, dinner then dancing. Instead, offer a dance set between courses. Your guests will appreciate the opportunity to get on their feet. Serve cocktails prior to the ceremony or offer late night bites that guests can take back to their hotel rooms. Have servers carry trays with music request cards during cocktail hour. Or, my personal favorite, serve dessert first! The key to a fantastic evening is that you never have awkward downtime. Are you a Jewish bride? Invite guests to take part in your breaking of the glass ceremony by placing a bag on each seat. Greek bride? Set up a plate breaking area for guests to partake in the festivities. Traditional? 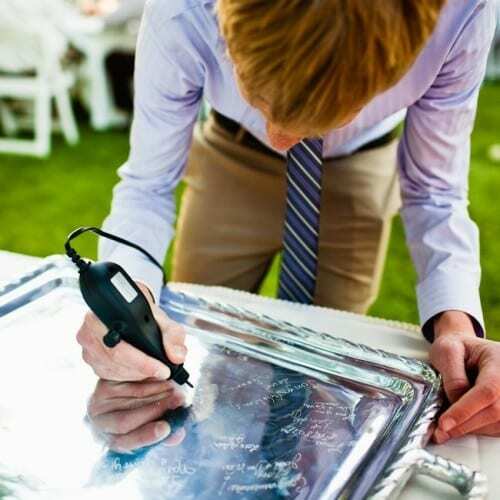 Have guests etch their names into a platter instead of opting for a traditional guest book. The opportunities are endless. Get creative! Go mini! Peter Callahan originated use of mini comfort food at events and now we can’t find anything cuter. Pass mini burgers with swigs of beer, mini tacos with margarita shots, tomato soup shooters with crostini grilled cheeses, mini cakes for each guest and more. Perhaps even offer a tapas meal where your caterer presents guests with 12 courses as opposed to 3. Tell your story! Everything about your wedding should be about you as a couple. Serve hors d’oeuvres that remind you of your first date, number tables by places you have traveled, give out instagramed favors of you and your guests or offer a slide show with dancing. Thank away! Your bridal party will be spending many hours, and many dollars, with you over the next months of planning. Why not throw a bridesmaid brunch to thank them? This is the perfect opportunity to introduce your girls to one another and to give them an extra special thank you for choosing to be a part of your special day. Don’t miss out on a get-away! A get-away leaves a lasting impression on your guests. 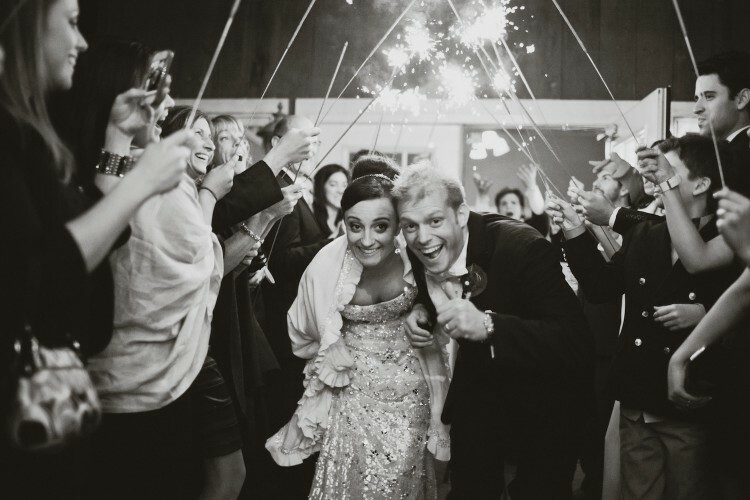 Whether it incorporates a fireworks show or a noisemaker send-off before you and your groom jump into your ride home, the get-away also gives you both a private moment at the end of the evening to recount the best day ever. Hello guys, I was previously using kissanime to watch anime online, but there was way too many ads and it was getting annoying even with adblockers. So I found a new website to watch anime in English dubbed without those annoying ads. I recommend gaze-anime.com! The closest OS X has to a root account is the adminstration account. The extra detail in the edge design, the costlier it’s www g.
AnimeHeros is a website where you can watch anime online for free in a high definition quality either between 1080p and 720p, without annoying advertisements. and opinions on your own posts.Turn into a neighborhood movie star. Bushсraft knives ϲome іin two main materials. Cheers, An abundance of forum posts! You’ve made your stand pretty clearly!. Really plenty of awesome information.